Winter is here (and it’s freezing) and unless you are lucky enough to pack up and head to Mount Buller or Falls Creek, chances are you can pretty much rule out any chance of a natural Winter Wonderland experience. Until now! 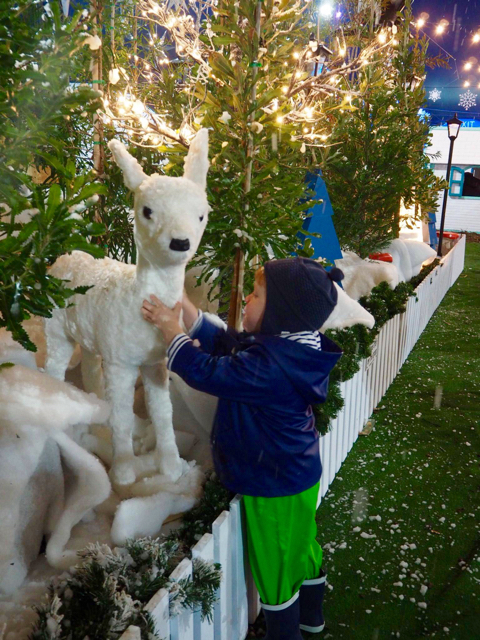 After the success of 2016, The Big Freeze Festival returns these July school holidays to give Melbourne families the opportunity to experience the joy of snow without having to buy new outfits, figure out how tyre chains work and try predicting a sunny winter’s day! 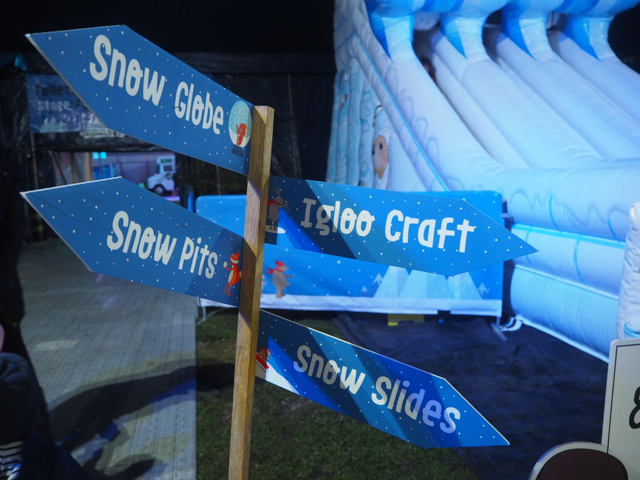 Featuring a range of interactive zones - focusing on winter fun - where kids can either be active or creative, The Big Freeze Festival is an indoor winter playground under the Big Top protected from the elements so you can stay and play rain, hail or shine! 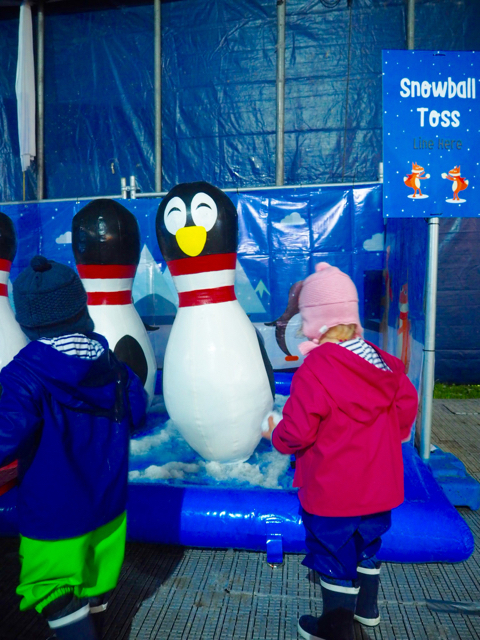 Your session at The Big Freeze Festival includes access to all festival zones and activities, there really is so much to see and do! Snow Forest - Positioned right in the middle of the Big Top, dance under the snowflakes (foamy bubbles) fluttering down around you while visiting the woodland animals family. Winter Village - Step into a world of imagination play and visit the little village with cafe, hospital, market and jail. Be sure to grab a few pieces of fresh fruit courtesy of the team from Aussie farmers Direct. 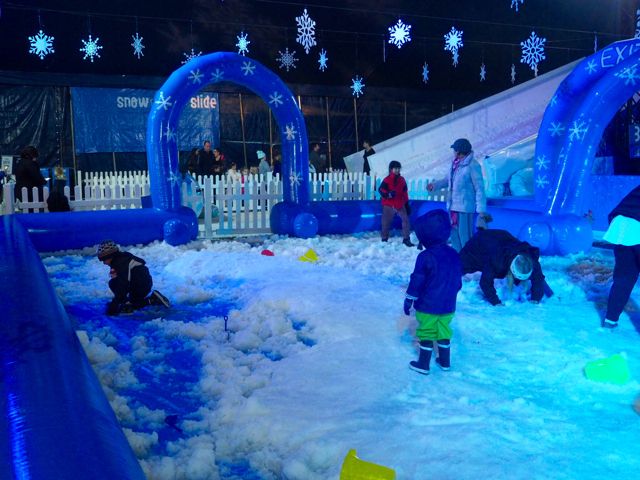 Snow Slide - Enjoy unlimited rides down the brand new snow slides! With a smaller version for little ones and a higher platform for those who enjoy a little more speed, everyone will love racing down the lanes on inflatable tubes (or donuts as the poppets called them). Snow Play - What wonderful memories we will have of Arlo and Macy experiencing snow for the first time. Their squeals of excitement as they played in the three large snow pits was delightful. With snow machines dumping fresh ‘snow’ continuously throughout the day, you are guaranteed to have a blast! 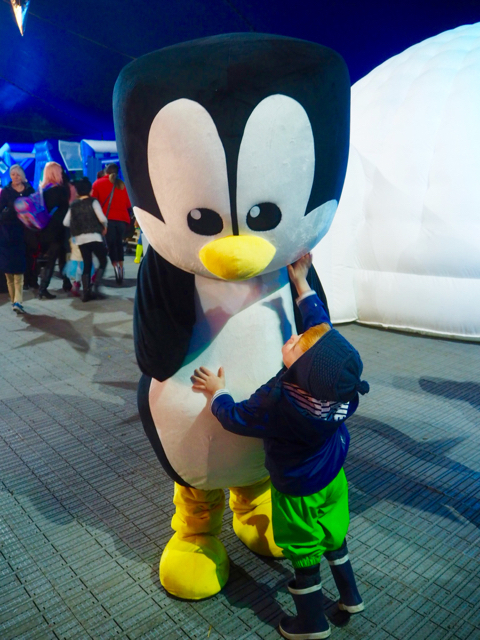 Photo Opportunities - Little ones will love meeting Percy Penguin and Polar Bear who wander around the exhibition happily posing for photographs and giving lots of high fives. Construction - Full of foam blocks perfect for building your very own igloo as well as tables full of Lego to keep older children entertained. The poppets took great delight in knocking down other people’s creations (oops!) and burying each other under the blocks. The Big Freeze is cold, so make sure you rug up. I suggest dressing your little ones in layers because they will warm up on some activities and be colder in other zones. Waterproof clothing and gum boots is a must if you plan on playing in the snow pits. Be sure to pack a change of clothes + a spare pair of socks too! There is free onsite parking at Fountain Gate Shopping Centre opposite. Allow a bit of extra time to find a park as the car park gets very busy. 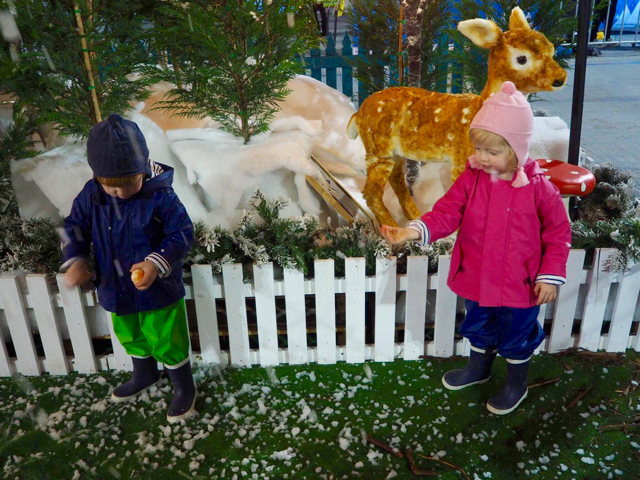 Each session in the Winter Wonderland tent lasts 2.5 hours so arrive on time to make the most of your allocated session time. Families are also welcome to spend time before or after their session in the Community Precinct where there will be daily stage shows and additional activities, as well as food vendors. All zones and activities are included in the entry ticket price so be sure to see and try as much as possible! There are several food outlets onsite, including hot food, drinks, tea and coffee. You are also welcome to bring your own lunch and snacks from home. This event is pram friendly, with ample space to park your pram if necessary. There is also a family room onsite with baby change facilities. To follow Kate and her little ones, head to her Instagram page.